How can I create a profile in Write & Improve? 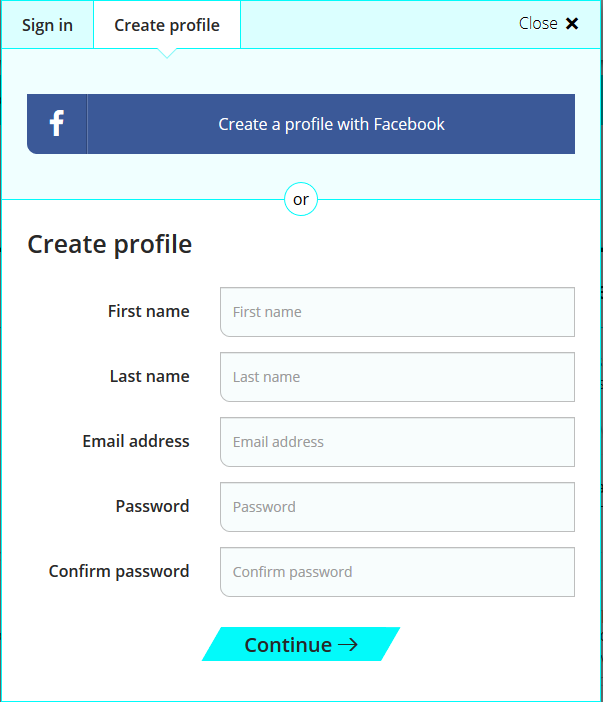 This article explains the steps to create a profile. You can create a profile by answering the questions, or use your Facebook profile, if you have one. 3. Go to your email. You will receive an email from us. You must click on the link in the email to confirm your account. If you cannot see the email, please look in your spam or trash folder. If you do not click on the link in the email, your account cannot be activated. 4. When you click on the link, you will go directly to the workbook page, where you can choose the best workbook for your level and choose a task. You are ready to start writing and improving! We wish you success in your English studies!